Plastics.com™ White Paper provided by Davis-Standard, LLC. 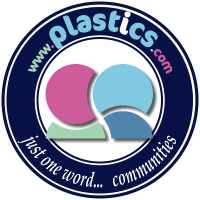 Extrusion is a method of making a thermoplastic polymer into a useful shape, such as a pipe, profile, sheet or film. In essence, a plastics extruder melts or plasticizes a solid polymer and pumps it through a die to form the desired shape. In many cases, the extruder also mixes the polymer with other ingredients, such as color, reinforcing fibers, mineral fillers, or processing aids, to name just a few. The extruder’s job is to adequately disperse and distribute all ingredients in the mixture, and to provide a melt with consistent temperature and pressure. a puller to pull the polymer out of the die and through the cooling mechanism. Different types and sizes of extruders are used in this system, depending on the job requirements. The size of the extruder is described by the screw or barrel diameter (commonly ranging from 0.5 inch to 10 inch, or 15 to 250 mm) and by the barrel length-to-diameter ratio (such as 24 L/D). In an extruder, the extruder motor turns the screw(s) inside the barrel, and the solid material is carried down the extruder by the screw flights. Although the barrel has heating or cooling devices to help control temperature, the solid polymer is melted primarily by the frictional heat created between the solid bed and the extruder barrel. In some cases, the polymer is melted and mixed first in a roll mill, batch mixer, continuous mixer, or another extruder, then fed to a short, melt-fed extruder, which acts as a melt pump to feed a uniform melt to the die. Two types of mixing – distributive and dispersive – occur in the extruder. Dispersive mixing, which breaks up agglomerated particles into the smallest particle size, requires high energy and shear stress. Distributive mixing, which uniformly distributes ingredients throughout the mixture, requires less energy. Different types of extruders and screw designs have different mixing ability. In a single-screw extruder, the screw has a deep-channeled feed section that transports solids from the feed throat and compresses them, a transition or compression section where the channels become shallower and the polymer is melted, and a shallow-channeled metering section where the melt is conveyed to the adapter and die. Different polymers process best with different compression ratios (the ratio of the feed zone depth to the metering zone depth). Some resins melt better in a screw that has barrier flights in the transition section to separate the melt pool from the remaining solids bed. Some screw designs incorporate mixing devices such as pins or barriers to flow. Static mixers, which interrupt the melt flow, create distributive mixing and are used to make melt temperature more uniform. Extruder equipment; single-screw extruders, are used in simple compounding operations, such as mixing color and additives into a polymer, although Kneaders and twin-screw extruders are more often used for compounding extrusion that requires highly dispersive mixing. Relatively new mixing screws for single-screw extruders improve both distributive and dispersive mixing for more demanding compounding operations. Single-screw extruders are widely used for extruding film, sheet, and other applications that use pre-compounded pellets. The Buss Kneader is a special type of single screw extruder equipment with a screw that both rotates and oscillates axially. The Kneader has a full spiral screw in the feeding and devolatilizing zones. In the mixing and kneading zone, the spiral is interrupted with kneading flights that intermesh with kneading teeth or pins fixed inside the barrel. The Kneader is widely used for compounding PVC pellets, because it operates at low shear and low temperature. It is also used for direct extrusion of PVC calendered film. Several different types of twin-screw extruders (TSE) are used for different applications. Parallel twin-screw extruders have two screws that rotate in the same direction (corotating) or opposite direction (counterrotating), with non-intermeshing or fully intermeshing flights. Parallel twin screws are modular, and the screw design can be changed by rearranging feeding, venting, mixing, and pumping elements along the screw shaft. Corotating TSE are commonly used for compounding, while counterrotating TSE are often used for direct extrusion. Conical, counter-rotating twin screws are tapered and made in one piece. Conical TSE are used primarily for processing PVC into pipes and profiles. The lower shear of conical TSE is an advantage for shear-sensitive materials like PVC. While single-screw extruders are typically flood fed, with the feed filling the screw channel, twin-screw extruders and extruder equipment are typically starve fed, with only a partially filled screw channel. Because the screw channel is not completely filled, downstream feedports or vents can be easily added. Adding shear- or heat- sensitive ingredients downstream, after the polymer is melted, helps keep them from degrading. Fibers can be added downstream to reduce screw wear and to preserve their aspect ratio. Vents are used to remove volatiles, such as water entrained in the mixture, from the melt. Compared to single-screw extruders, TSE are better at feeding and conveying, especially of powdered material or large amounts of fillers, and typically create more dispersive mixing. Film and sheet extrusion Plastic films, typically defined as less than 10 mil (0.01 inches or 0.25 mm) thick, are produced by blown or cast film extrusion using a single screw plastics extruder. In blown film extrusion, the polymer is fed to an annular die to form a tube that is closed at one end to make a “bubble”. The molten polymer is drawn down to a thin film in the machine direction, as well as expanded outward in the transverse direction. The “blow-up-ratio” is the ratio of the bubble diameter to the blown film die diameter. The bubble is cooled with air and collapsed into a flat tube. The blown film tube can be used to make all kinds of bags, or the tube can be slit to form a flat sheet. In cast film extrusion by plastics extruders, the molten polymer is fed to a flat die, the melt is drawn in the machine direction into a thin film, and the flat web is rapidly cooled by passing over one or more chilled rollers. As in all types of extrusion, the cooling rate and the draw-down rate affect molecular orientation, which affects physical properties of the end product. Both blown and cast films are used in many kinds of applications. A walk through the grocery store reveals a myriad of highly engineered film packages, from fresh-produce bags and wraps for meat to candy wrappers, cereal bags, stand-up pouches, and bags for frozen food. Films are also used in stretch and shrink wrap for bulk packaging. Outside of packaging, films are used in bags, agricultural covers for fields or greenhouses, and nonwoven products for healthcare or personal care like baby diapers, to name just a few. Plastic sheet is usually defined as greater than 10 mil thick. Sheet is typically extruded with a single-screw extruder, although direct extrusion might use a twin-screw extruder. Like cast film, sheet is extruded through a wide, flat die, pulled through rollers, and cooled with air or water. Sheets may be used in sheet-form for applications such as pond or landfill liners, or go to a thermoforming process to be made into a variety of containers or other parts. Profile extrusion Plastic films, typically defined as less than 10 mil (0.01 inches or 0.25 mm) thick, are produced by blown or cast film extrusion using a single screw plastics extruder. In blown film extrusion, the polymer is fed to an annular die to form a tube that is closed at one end to make a “bubble”. The molten polymer is drawn down to a thin film in the machine direction, as well as expanded outward in the transverse direction. The “blow-up-ratio” is the ratio of the bubble diameter to the blown film die diameter. The bubble is cooled with air and collapsed into a flat tube. Davis-Standard is recognized as the global leader in high-performance plastic and rubber extrusion and converting systems. Our mission is to supply technologically-advanced extrusion solutions to the global polymer and rubber processing industries, providing exceptional value to our customers.